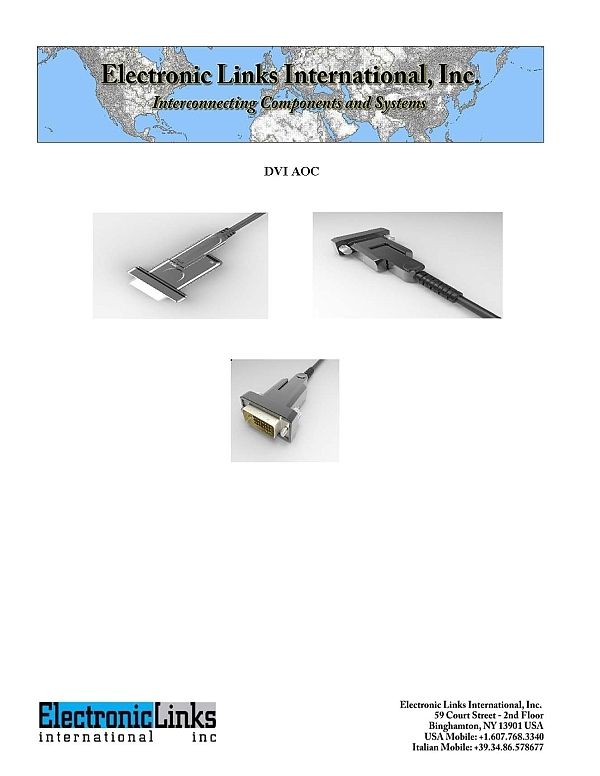 Electronic Links International, Inc. is introducing two new DVI AOC assemblies. They are DVI side and center entry types. Hybrid assemblies to support HDMI data rate of 6 Gbps, with a signal integrity up to 100 meters. These assemblies can be used with HDMI type D to HDMI A adapter and together with HDMI type D to DVI adapter.